In this video, Alan Jansson explains why water reten­tion is a prob­lem in preg­nancy and what acu­punc­ture can do to treat this prob­lem. He draws on the basic prin­ciples of Chinese Medicine which in this scen­ario views the kid­ney as the cool­ing ele­ment in the body. The very act of grow­ing a baby puts an incred­ible drain on the kid­ney. If a woman already has a fun­da­ment­al kid­ney defi­ciency, then she is very prone to prob­lems in preg­nancy such as water reten­tion. Water reten­tion in preg­nancy thus relates to the inab­il­ity of the woman’s kid­neys to func­tion effect­ively to clear excess flu­id. If this is not treated, it can res­ult in pre-eclamp­sia which in turn can lead to hyper­ten­sion and oth­er prob­lems such as head­aches, dizzi­ness, naus­ea and swell­ing in the legs, hands and face. Alan dis­cusses how acu­punc­ture helps to build the kid­ney energy in the mother’s body which in turn has bene­fi­cial effects for the baby as well. This non-invas­ive and gentle form of treat­ment serves to re-bal­ance the body and strengthen the kid­ney func­tion. The use of acu­punc­ture for water reten­tion dur­ing preg­nancy com­monly reduces the need to use phar­ma­ceut­ic­al products such as diur­et­ics which can have a dele­ter­i­ous effect on the health of the moth­er and baby. By build­ing up the body’s own nat­ur­al capa­city to cool itself, Alan is able to help the preg­nant moth­er deal with flu­ids in a nat­ur­al way without oth­er forms of inter­ven­tion such as med­ic­a­tion. 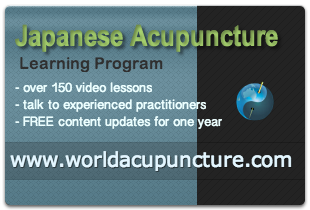 This nat­ur­al approach, employ­ing the long-stand­ing tra­di­tion of Japanese Acupuncture, has pos­it­ive spin-off effects for the over­all health of the preg­nant moth­er and strengthens her capa­city to man­age extern­al changes such as cli­mat­ic con­di­tions as well as the nat­ur­al intern­al changes in her body. Summer con­di­tions, for example, place an extra strain on the body’s kid­ney-energy because of the need to deal with heat and humid­ity. This is a time, then, when a preg­nant woman can become par­tic­u­larly prone to water reten­tion. Through the use of tra­di­tion­al acu­punc­ture, the water reten­tion prob­lem can be pre­ven­ted, or over­come, thus enabling the preg­nant moth­er to handle these demand­ing extern­al con­di­tions. Many preg­nant women have approached Alan in his Brisbane Acupuncture Clinic and received acu­punc­ture treat­ment to suc­cess­fully treat the con­di­tion of water reten­tion dur­ing their preg­nancy. If you are exper­i­en­cing this poten­tially dis­abling con­di­tion, don’t hes­it­ate to con­tact Alan at his acu­punc­ture clin­ic in Brisbane.